Document Destruction/Paper Shredding Event at the Skokie Farmers’ Market! It’s a full day at the Skokie Farmers’ Market on Sunday, September 11, 2016! Meet the Consumer Affairs Commission as they host a document destruction/paper shredding event and collect non-perishable donations at the Skokie Market for the Niles Township Food Pantry. The shredding event will be held from 9 a.m. to 12 p.m. in the Village parking lot on Floral Avenue and Oakton Street across the street from the Farmers’ Market. This drive-through paper shredding event is in cooperation with the Skokie Chamber of Commerce & Industry. Proper destruction of documents such as residentially-generated paper, medical forms, bank statements, personal files, retired tax forms, etc. prevents identity theft. No materials from businesses, schools, or institutions will be accepted. Stapled materials are accepted, but please remove binder clips. Documents will be shredded on-site at the time of drop-off. The Skokie Farmers’ Market is open every Sunday through November 6, 2016 from 7:30 a.m. to 12:30 p.m. The market is sponsored by the Consumer Affairs Commission and supports local farming to bring fresh, nutrient-dense produce to the community. There are new vendors and other fun surprises at this year’s Farmers’ Market for families, including Yoga on the Green on October 2, a Touch-A-Truck event on October 16, story time with the Skokie Public Library on October 23, Halloween fun on October 30, visits with an amazing balloon artist on some Sundays and a variety of musicians. 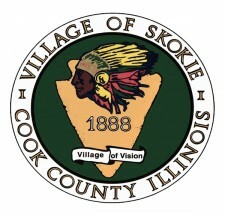 Visit www.skokie.org for a complete schedule. For more information on the Skokie Farmers’ Market contact Janelle Silva, Market Manager, at 847/933-8257 or visit www.skokie.org.